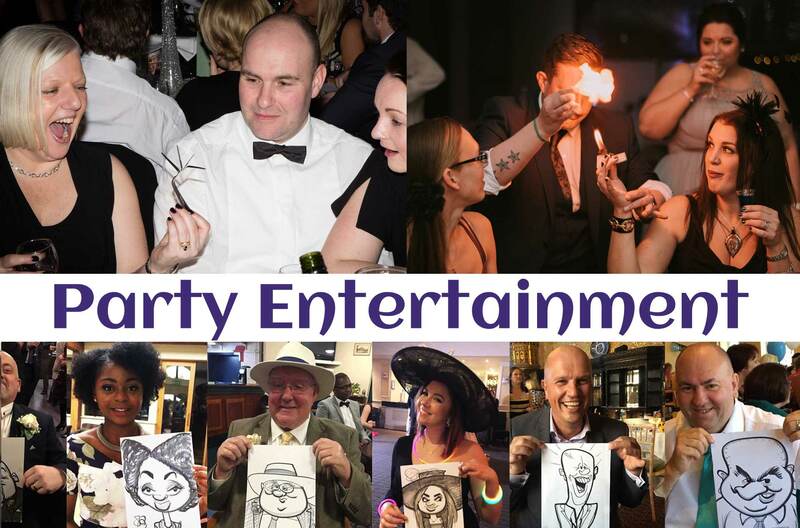 Magical Memories create the perfect atmosphere for your party by supplying world class professional entertainers that you can rely on. We pride ourselves on always being able to find the right act for your function and offer a service that is second to none. Magical Memories provide a friendly, individual service which can be tailored specifically to your unique requirements. We have Magicians and Caricaturists all over the UK – we find the nearest entertainers to your event to keep traveling expenses to a minimum. A touch of mix and mingle, close-up / table magic makes all the difference, if you need something special, then the right Magician can provide a lot of fun for you and your guests! What better way to entertain your friends and family than having hilarious cartoon portraits created before their eyes? Hiring a caricaturist for your event party / function provides a fun and exciting form of entertainment and the artwork is given away as a unique gift.